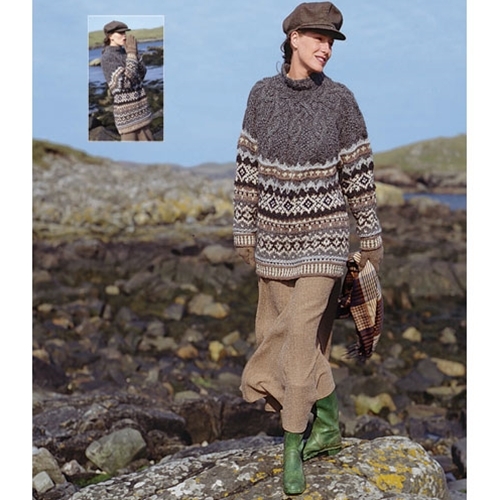 Oversized, cable-patterned yoke pullover with Fair Isle-inspired body and sleeves and corrugate ribbed borders. Previously featured in Vogue Knitting Fall 1994. Sized for Small, Medium, Large and shown in size Medium. 14 sts and 16½ rows = 4"/10cm over St st using size 10½ (6.5mm) needles.